Today, Sony showcased The Last of Us Part 2, the second installation of developer Naughty Dog gritty survival horror game released in 2013, with a trailer that is very thrilling but almost made me hurl. Seriously—a woman in a noose props herself up on another woman who gets a hatchet buried in her head. 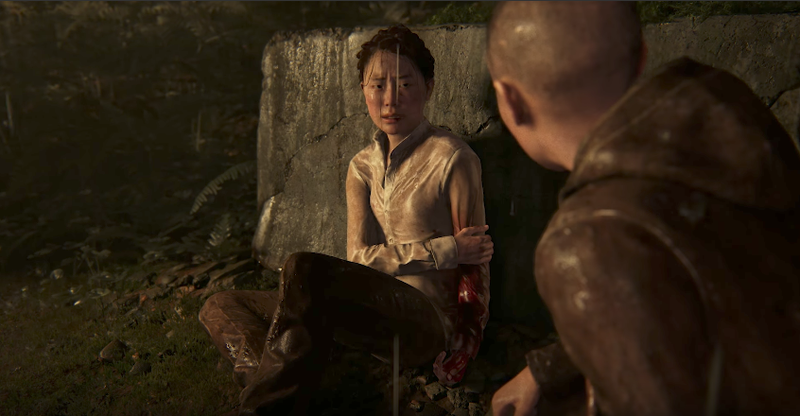 It’s pretty hard to watch, but hey, we were warned by game director Neil Druckmann that The last of Us Part II will be a game about “hate,” in stark contrast to Part I, which, he said, was about love. After a second interview-slash-trailer came out an hour after this one, its looking more like the main character in the trailer is not The Last of Us protagonist Ellie, grown up and muscular, but another character, played by voice actress Laura Bailey. Still, no release date has been announced.